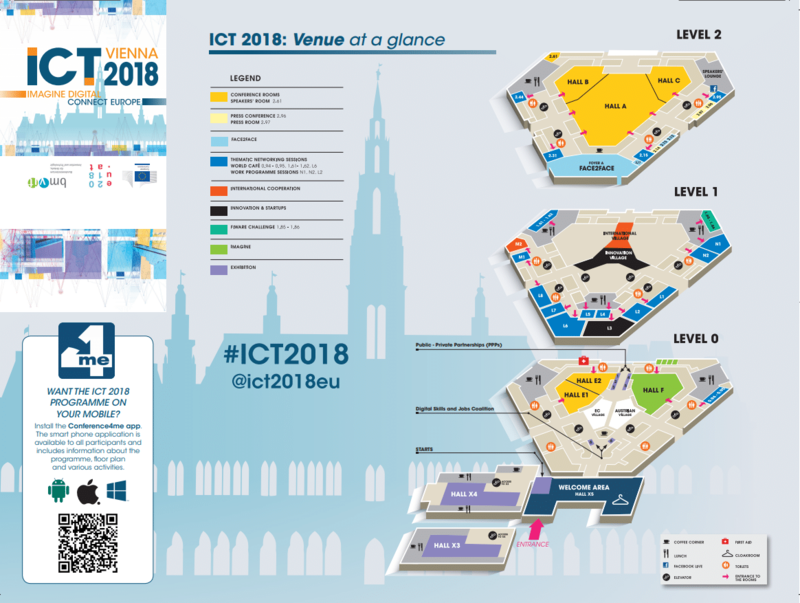 FLOOD-serv project will have the honor to be one of the exhibitors at the ICT 2018 that will take place in Vienna on 4 – 6 December 2018. If you are attending the event visit our stand and learn more about the FLOOD-serv innovative system! This event is an open and participatory one which is organised by the European Commission and the Austrian Presidency of the Council of the European Union and will focus on the European Union’s priorities in the digital transformation of society and industry. This research and innovation event will focus on the European Union’s priorities in the digital transformation of society and industry. It will present an opportunity for the people involved in this transformation to share their experience and vision of Europe in the digital age. The official opening (ceremony) of the exhibition will take place on Tuesday 4/12 at 12:15 in the STARTS area in Hall X5 in the presence of Ms Claire Bury,Deputy Director-General of DG CONNECT (EC), and Mr Ingolf Schädler, Deputy Director-General at BMVIT (Austrian Ministry of Transport, Innovation and Technology). To prepare your visit, you can search the exhibitors by area/village, by name and/or by keyword here.